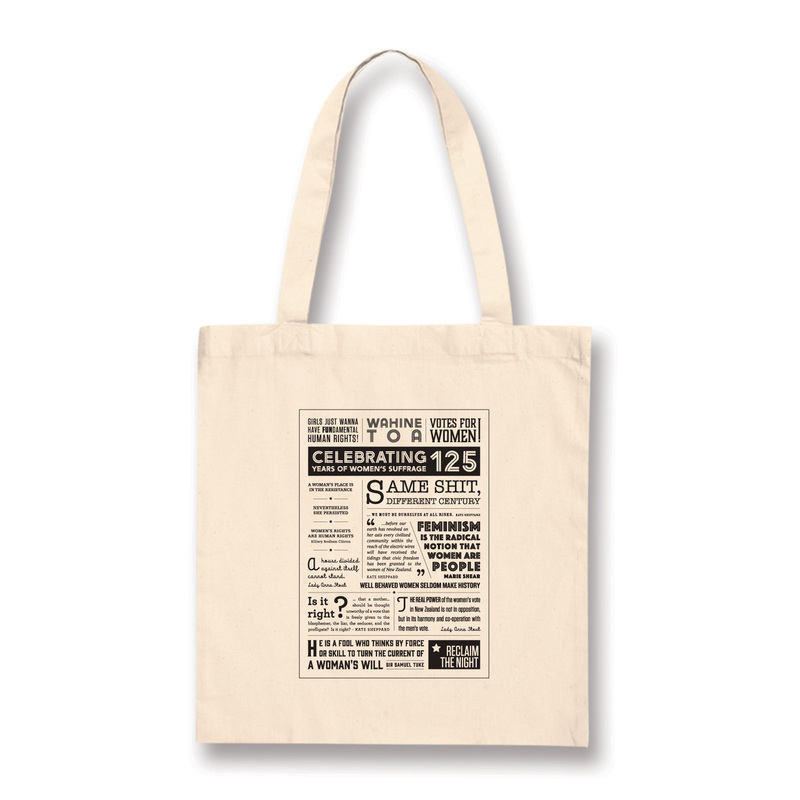 Celebrate 125 years of Women’s Suffrage with the special edition Broadsheet Tote Bag. In 1893 New Zealand became the first country in the world to give all women the right to vote. It established New Zealand as a leader in equality, a reputation we continue to be proud of. This tote bag features a collection of slogans and quotes from throughout the history of women’s suffrage, both locally and internationally. It makes a bold but practical statement for gender equality. This tote bag is made of unbleached cotton and rolls up until it is quite compact, making it a perfect, eco-friendly gift for readers and book lovers. At 40cm square, with an expanding gusset it also makes a spacious carry all for your shopping, gym gear or protest banners. Designed in collaboration with Auckland War Memorial Museum and National Council of Women to celebrate Suffrage 125. 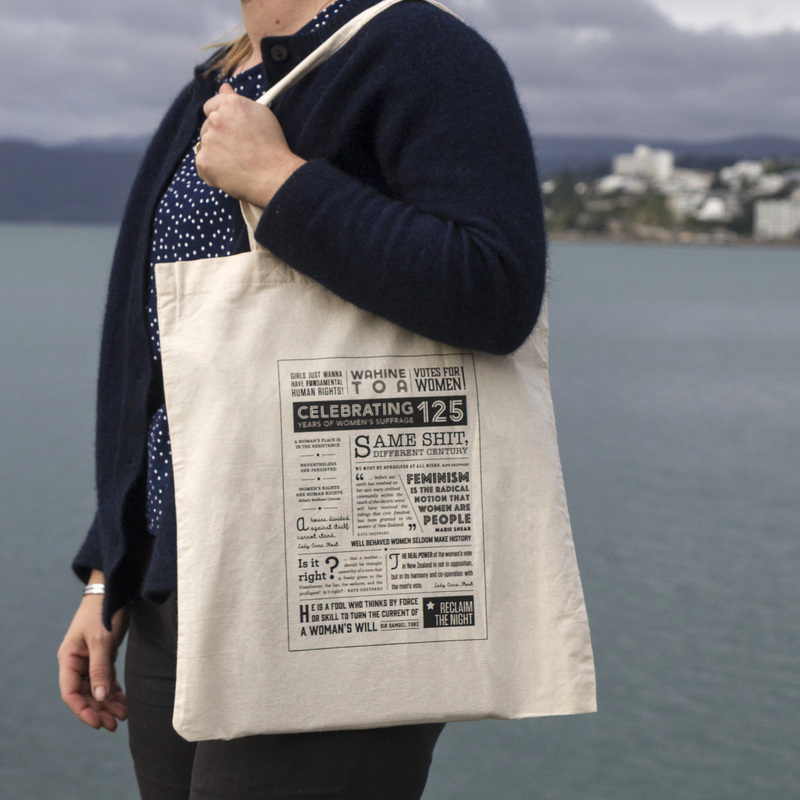 A portion of proceeds from this product will help the National Council of Women with their vision to see a gender equal New Zealand. Customers can also purchase this product in store at Wellington Museum and Cable Car Museum. The Teardrop Storm Glass, with its ever changing crystals, is a piece of scientific history used to forecast the weather. A set of stylish cufflinks featuring the Matariki constalletion inset. Authentic Museum quality laser cut replica of the Mars Rover. Perfect for model enthusiasts or those who love to craft. Assembly required – Contains small parts and not recommended for small children. Authentic Museum quality laser cut replica of the Steam Locomotive. Perfect for model enthusiasts or those who love to craft. Assembly required – Contains small parts and not recommended for small children.